"Greece – Athens, Bas Reliefs of the Bacchus Theater"
Aνάγλυφο θεάτρου Βάκχος. 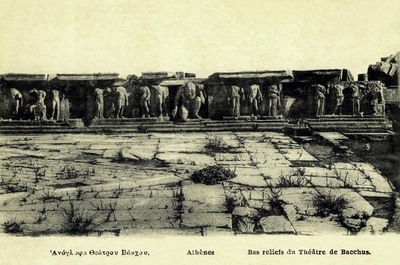 Athènes. Bas reliefs du Théâtre de Bacchus. One black and white postcard with a divided back.